Our purpose is to portray the importance of sustainability in all aspects of life. Sustainability is not just about energy conservation, but a lifestyle. To do this we wish to install aquatic ecosystems that are 90% sustainable around campus. As living artworks, our ecosystem installations will demonstrate how sustainability applies to all aspects of life, not just the stereotypical ‘reduce, reuse, and recycle’ campaigns. An aquatic ecosystem is exactly what it sounds like. It consists of a mixture of underwater plants and organisms such as shrimp, snails and fish that all co-exist. This project was brought to ESW by Aqua Design Innovations, a company founded and run by UCSD students with the vision of sharing their knowledge in creating self-sustainable ecosystems to UCSD's campus. This is not the typical sustainability campaign, but is aimed at creating awareness through innovation. Many small changes can have a large impact. 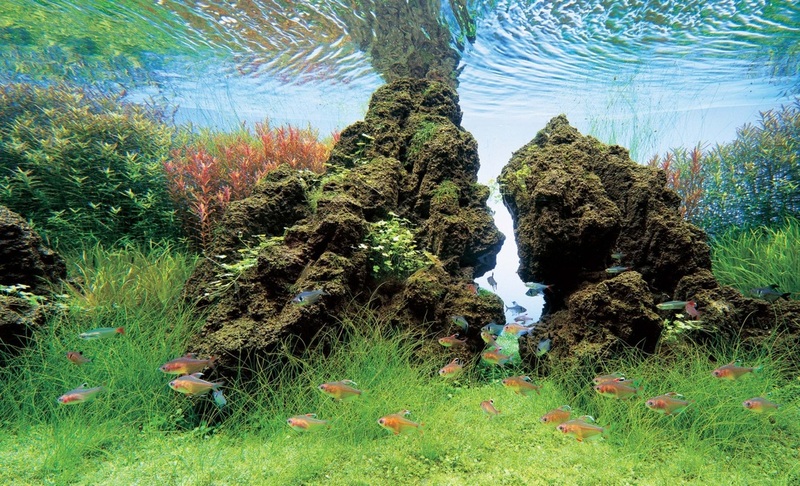 By making changes to the typical fish tank, energy consumption can be reduced significantly. Our design is self-sustainable since once a system is set up, no chemicals need be added, no filtration system is needed to clean the water, no carbon dioxide is needed, and it does not need food added, and solar energy is used to heat and light the system. Having been granted approval by the UCSD Faculty Club, our team will be having our first build either Spring 2013 or Fall 2013. Lights and heating: Using solar panels to power the LED lights and heater, no electricity is needed to keep the system. LED lights also last much longer than CFLs and iridescent light bulbs, creating less waste due to replaced bulbs. Aquaponics: Natural cycling of nutrients allows algae overgrowth to be minimized, cuts out the need for fertilizers to keep the plants healthy, and feeds the trophic ecosystem from bottom to top. Because of this key component, food does not need to be added to keep the fish and other organisms alive.